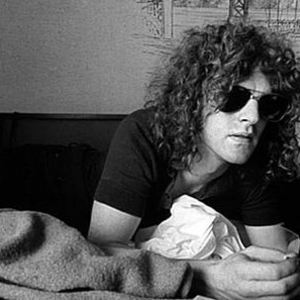 Ian Hunter (born Ian Hunter Patterson on June 3, 1939 in Oswestry, Shropshire, England) was the lead singer of the band Mott the Hoople from 1969 until the band broke up in 1974. He has since worked as a solo artist. Hunter began his musical career on the bass guitar. An early foray into music was as an entrant in a talent competition at one of Butlin's holiday camps, performing "Blue Moon" as part of a skiffle group with Colen York and Colin Broome. Mott the Hoople then had considerable commercial success with the albums All The Young Dudes (1972, produced by Bowie); Mott (1973) and The Hoople(1974). The band began to score financially with songs such as "Roll Away The Stone," "Golden Age Of Rock &acute;n&acute; Roll," "Honaloochie Boogie," "All The Way From Memphis," "Saturday Gigs," and especially "All The Young Dudes." When in 1973 original lead guitarist Mick Ralphs left to form Bad Company, Hunter began to play guitar until a replacement could be found but at the same time he was increasingly pressured to write hits for the band. Luther Grosvenor took over as lead guitarist, Grosvenor, aka Ariel Bender, was briefly replaced by Mick Ronson after the release of a live album following The Hoople. However, Hunter left the band in December 1974. The remaining members carried on under the names Mott and British Lions. Hunter has written a memoir, Diary of a Rock'n'Roll Star, detailing a U.S. tour with Mott the Hoople.